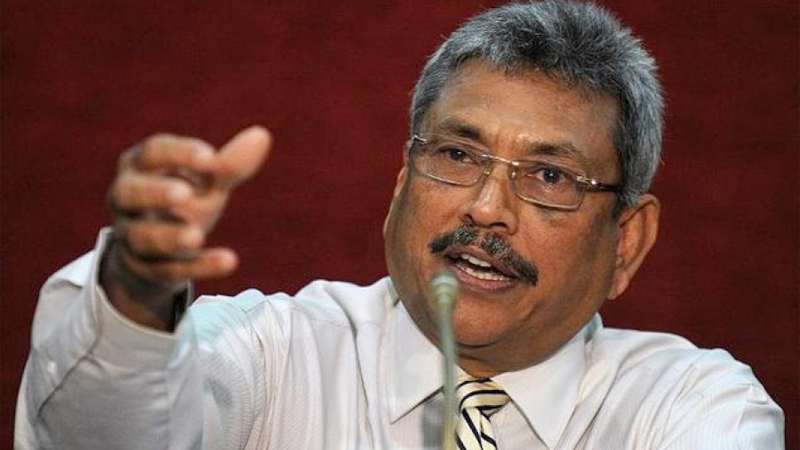 Former Defence Secretary Gotabhaya Rajapaksa signed an affidavit before the Presidential Commission investigating alleged acts of Fraud Corruption, Abuse of Power, State Resources and Priviledges (PRECIFAC) yesterday to give evidence against two former senior Army officers, including an Army Commander another Army officer and a former high ranking state official. They are former Army Commander Lt.Gen. Daya Ratnayake, Maj. Gen.Udaya Perera, Maj. Gen.Hathurusinghe and former Additional Defence Secretary Siripala Hettiarachchi. The PRECIFAC is conducting investigations into an alleged multi million rupee mass scale fraud involving the cutting and removal of iron from the Kankesanthurai Cement factory situated in the High Security Zone during the Rajapaksa Regime. The above mentioned former army officers and the state official have been named as respondents in this case. Siripala Hettiarachchi in a statement to the commission had said that he made a written note sanctioning the removal of the stock of iron from the cement factory following specific instructions given by Gotabhaya Rajapaksa.